This is the second installment of a series that I called ‘where to eat in Berlin’ but should really be called ‘things I like to eat in Berlin and I think you should try too if you have a chance’. To read all about the first restaurant, Tangs Kantine, go here. I adore any cuisine that can be classed as ‘Asian’. I love plain steamed rice with glazed, sticky meat, the tender filling of dim sum dumplings, the fresh herbal notes of Vietnamese food, the crunchy, nutty quality of Thai dishes, the toungue-numbing power of Sechuan pepper, and the clear simplicity of Japanese ramen. I love it all. And while I adore instant ramen, of the Korean kind that comes in a red plastic cup with a sachet containing a magically savoury and spicy powder, it’s proper Japanese ramen that I find myself longing for, especially in winter. 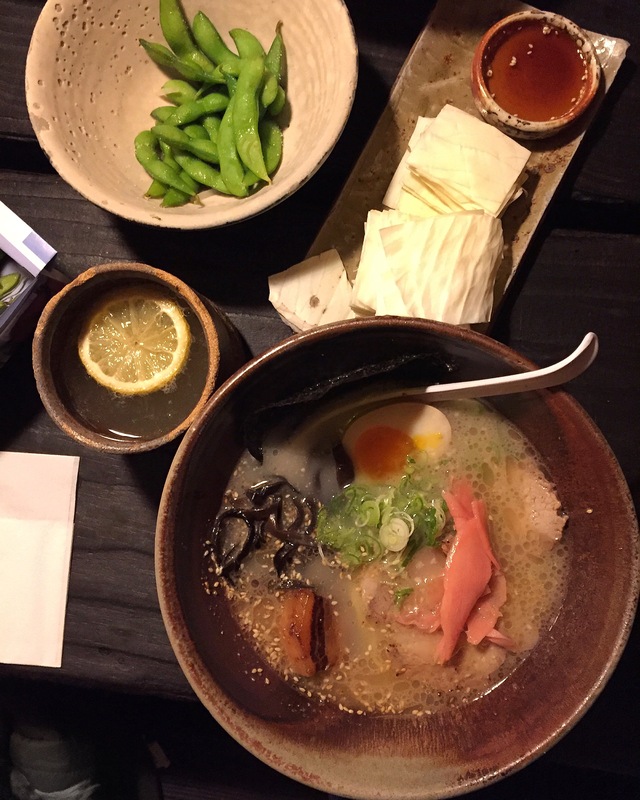 Nothing quite like ramen to beat the cold. A beautifully crafted bowl of milky, savoury broth, silky, thin slices of pork; crispy seaweed, chewy mushrooms, starchy noodles. An this is where Cocolo comes into play. Now, Cocolo is busy. Very busy. You may have to wait and you’ll certainly have to share long tables with strangers, but that’s ok, because Cocolo’s ramen has that shiver-down-your-spine quality which makes it all worth it. 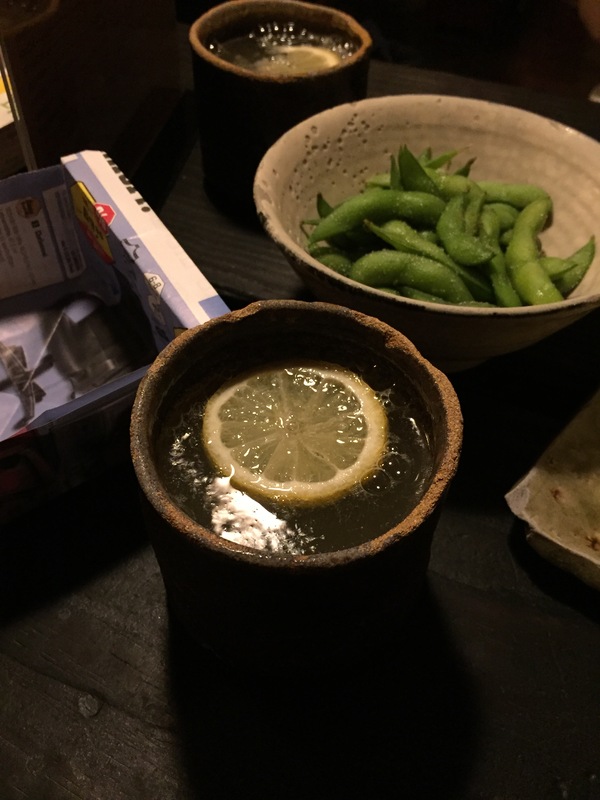 The meal starts with the most delicious ginger lemonade, homemade, aggressively fizzy, with droplets dancing on the surface, served in a rustic, unpolished mug. I have had a lot of supposedly ‘homemade’ lemonades in my life but nothing quite like this one. Their ramen is just beautiful. I went for tonkatsu, the creamy and milky broth that’s both savoury and delicate, the deep flavour of meat and bones and time; marbled slices of porkiness tha fall apart in their liquor, pork belly with its crunchy crackling and a layer of unapologetically trembling fat that melts in your mouth, a soft boiled egg, its sticky yolk bright orange, and finally a piercing pink slice of pickled ginger. And the humble noodles, slippery, chewy, just hard enough, to mop it all up. 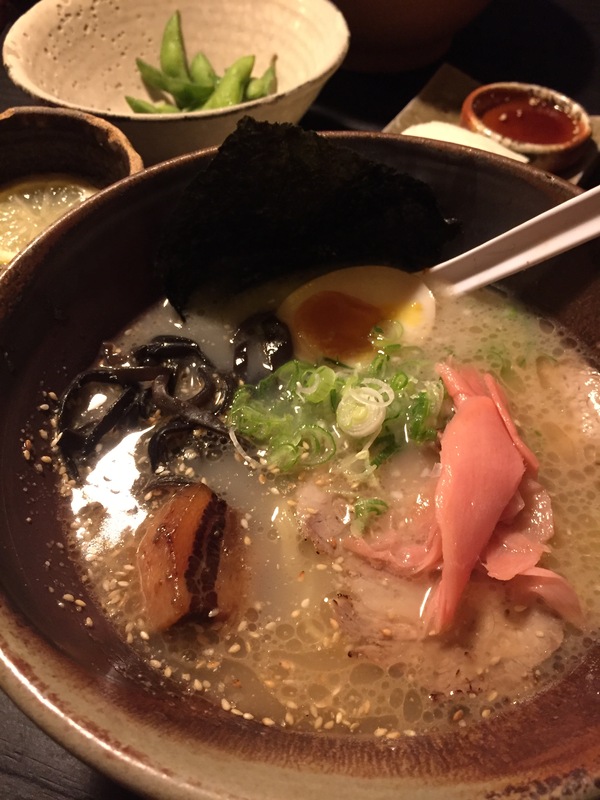 Ramen is a simple pleasure but it’s so much greater than the sum of its parts when done the right way. Next Post Marmite Toast. No, really.